Live young. Live hard. Love deep. Charley Redford was just an ordinary girl until Jake Caplin moved to her small town in Indiana and convinced her she was extraordinary. Almost from day one Jake pulled Charley into the deep and promised he was right there with her. But when a tragic incident darkened Jake’s life he waded out into the shallows and left Charley behind. Almost four years later Charley thinks she’s moved on. That is until she takes a study year abroad in Edinburgh and bumps into none other than Jake Caplin at a party with his new girlfriend. The bad-boy-turned-good attempts to convince Charley to forgive him, and as her best friend starts spending time with Jake’s, Charley calls a truce, only to find herself tumbling back into a friendship with him. As they grow closer, the spark between them flares and begins playing havoc with their lives and relationships. When jealousy and longing rear their destructive heads, Charley and Jake struggle to come to grips with what they mean to one another. 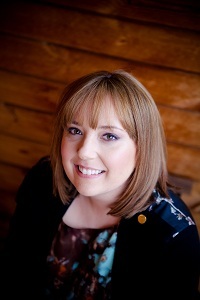 Samantha Young is a New York Times and USA Today bestselling author from Stirlingshire, Scotland. She’s been nominated for the Goodreads Choice Award for Best Author and Best Romance for her international bestselling novel ON DUBLIN STREET. I am sooo looking forward to reading this Vilma!